I made this pie as a surprise for my hubby. He has been saying for years and years that I should make him a lemon meringue pie, but he wants me to use his old recipe, which he has never been able to find. So today I decided to take a chance and use a recipe I found on the internet and make my very first lemon meringue pie, ever! Doesn't it just look delicious? 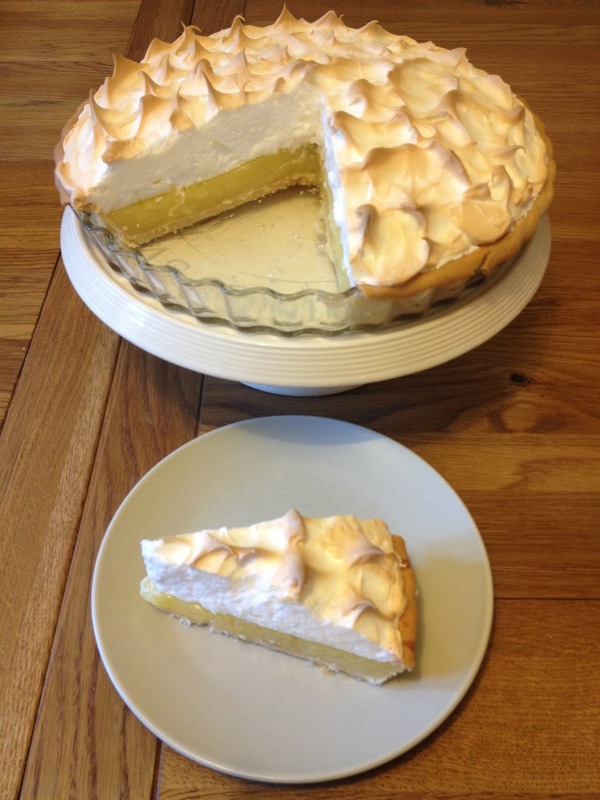 Now I have never really been a big fan of lemon meringue pie, but I have been converted! 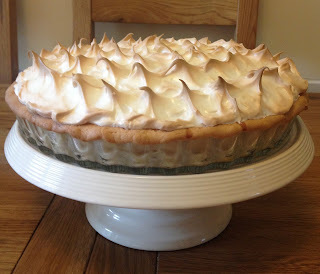 Crisp pastry beneath wonderfully tangy lemon curd, smothered in velvety smooth, soft and light meringue. It came out perfectly on my very first attempt, thanks to a wonderful recipe and brilliant explanations of the food science behind the pie by Not So Humble Pie. I highly recommend her recipe, I will certainly be making it again, very soon. Update: A month later and I have made it twice more, and it seems to become more delicious each time! P.S. I did the chilled filling method and didn't add any cake crumbs. I had little to no weeping, and the meringue only threatened to slide off of the slices serves the next day.